We are now nine weeks into this project, which brings New Hampshire into the union and along with it, the official ratification of the Constitution. New Hampshire, much like the other coastal New England states, was settled in the early to mid 1600s. One of the towns settled during the formation of New Hampshire was what is now the city of Portsmouth. Located on the western bank of the Piscataqua River, Portsmouth, originally called Strawbery Bank, was home to Captain John Mason, who is considered the first brewer in New Hampshire, with records showing his possession of malt as early as 1635. However, the first brewery in the state wouldn’t open for almost another 200 years, with the Frank Jones brewery eventually becoming one of the largest breweries in New England. This doesn’t mean that the good residents of the state went without their daily libations. Far from it. If fact, the 200 year window without a recognized brewery was filled by taverns and home brewers, where the taverns brewed their own beer. At that time, taverns were essential to the health of a community. They were the social hub, the place people went to get news and gossip, and in some instances, they also doubled as churches and courtrooms. Call them the original brewpubs, taverns provided both food and drink to locals and travelers alike, welcoming in anyone passing through the area. While the similarities are strong between taverns and brewpubs, the brewpub is a modern invention, popularized in London during the late seventies. With a brewpub, the patrons become immersed in the brewing process, separated from the product and equipment by nothing but a glass window, the patrons are given complete insight into the origin of their beer. While brewpubs are common across the US today, with 1072 existing in the US in 2012, this was not always the case. In fact, New Hampshire didn’t get its first brewpub, The Portsmouth Brewery, until 1991, just 22 years ago, 378 years after Captain John Mason was brewing beer in his house at Strawbery Bank. The Portsmouth Brewery was my first experience with New Hampshire beer. The city of Massachusetts I live in is very close to the NH border, and closer to Portsmouth than Boston. That being the case, I have made many visits to Portsmouth, and have been to the brewery many times. The Portsmouth Brewery is also the sister company to New Hampshires largest brewery, Smuttynose, making Portsmouth the brewing capital of NH. Both the Portsmouth Brewery and Smuttynose are represented in this weeks tasting. Because I live so close to NH, I have always had access to their beer. Smuttynose is often found in my refrigerator, and everything from them is great. From their Shoals Pale Ale, to their Star Island Single, I often have such a hard time deciding that I usually just grab the variety 12 pack. So it was a huge surprise to me when I went to grab a few different varieties of NH beer for this week, to find out that getting beer from NH, in MA is actually quite hard. And that there are really only 4 (um, err, 3?) different breweries that are available for purchase, and to make things worse, the store I was in was out of one of them. So for this week, the tastings came from Tuckerman, Smuttynose, their sister brewery, the Portsmouth Brewery and Woodstock Inn. To make matters worse, I found out mid-tasting that Woodstock, while based in NH, brews their beer in Maine, so making the true number of NH brewers available in MA 3. The missing brewery, White Birch Brewing from the three listed above did not make it into the tasting this week, however I did have their Indulgence Ale last week, and enjoyed it. This weeks tasting was interesting in that it coincided with a mini-beer summit at Riverwalk Brewing. Because of these overlapping events, all but the Smuttynose beer was sampled amongst the attendees at the summit, (Look for the complete write up about the summit in a forthcoming post.) providing some interesting commentary and insight into each beer. 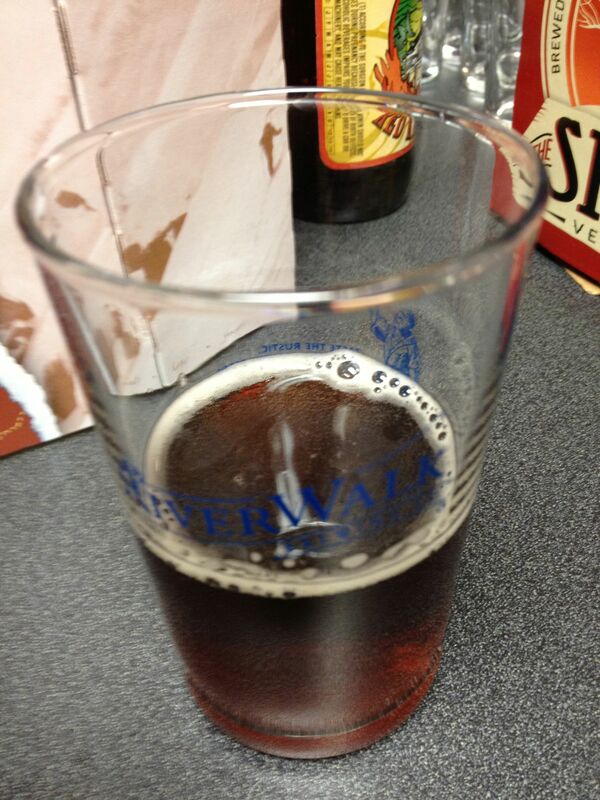 The first beer we tried was the Headwall Alt from from Tuckerman Brewing Company in Conway. The Headwall, is an altbier, which is a German beer style defined as having a nice cooper-brown color and malty flavors, so these were the characteristics we were looking for. In the glass, the first thing that stood out to me was the darker color of the beer than I expected. I think this was partially due to the fact that I misread the label and thought that it was an ale. “It was nice, but it didn’t seem to have any character”. The taste was nice, but it didn’t floor me. I would drink this beer again if it was around, but I am not sure if would seek it out. The next beer we drank was from Woodstock Inn. Right from the start, this beer hit us with a slight technicality. Woodstock Inn is located in NH, our target state for the week, but the bottle indicates that the beer was actually brewed in Maine. On the brewery website, you can find news about how they are currently expanding their on premise brewery, however at the moment, their bottled beer is not actually brewed in NH. So, if I wanted to be an extreme purist I could disqualify this beer, but, it was already in my hand just waiting to get consumed. 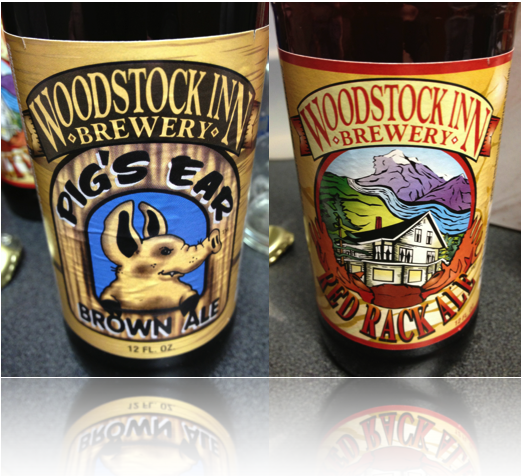 From Woodstock, we tasted two different styles of beer, a Brown Ale and a Red Ale. A Brown Ale is a warm fermented ale with colors similar to an altbier. 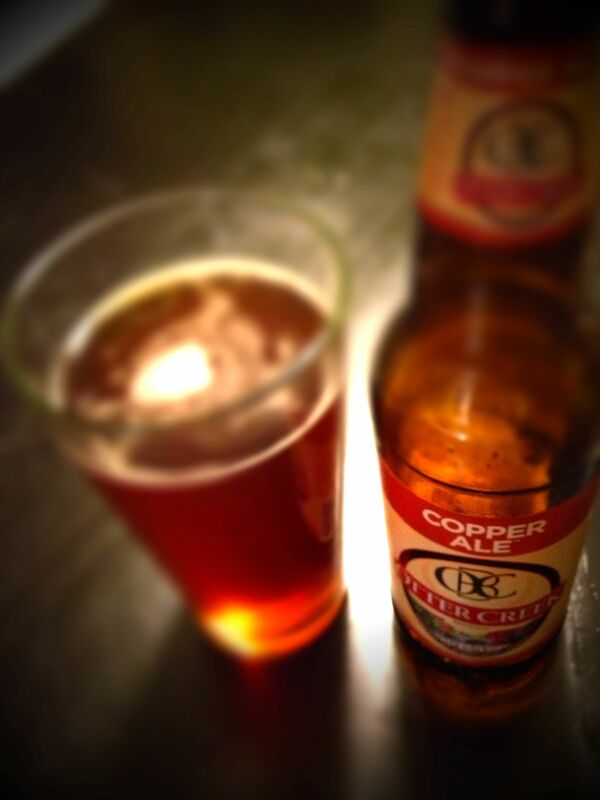 While altbiers come from a German heritage, a brown ale hails from Britain. Woodstock Inns brown is called Pigs Ear Brown. The Pigs Ear Brown Ale is an award winner. Pigs Ear Brown Ale won Grand National Champion for brown ales at the United States Beer Tasting Championships in 2004 and 2006. Medium bodied with a balance of roasted and crystal malts creating a hearty nutty flavor. Medium bitterness with a slightly sweet finish. The first thing I noticed with this beer was a higher carbonation than the previous altbier. And the beer had a taste of butterscotch. This taste is a result of diacetyl, a natural by-product of the fermentation process. In the Oxford Companion to Beer, they say that “at low to moderate level, diacetyl can be perceived as a positive flavor characteristic in some ales and stouts“, however for me, it because the driving force of the beer and I could not over come it. In the end, I was not thrilled with this beer, however others at the tasting really enjoyed it. That is one of the wonderful things about different beers and styles, there is something out there for everyone. 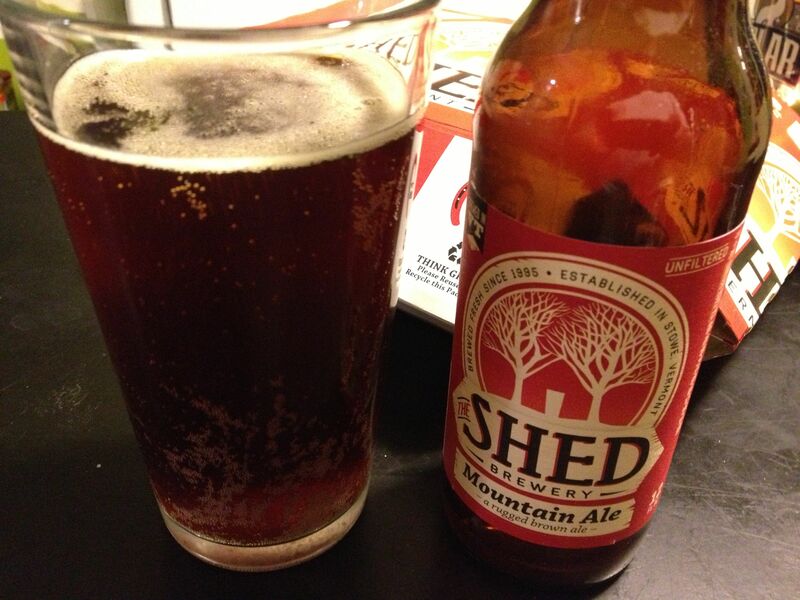 Following the Brown Ale, we dove into the Red Rack Ale. The brewer lists this beer as: Amber in color with slight caramel sweetness. Medium hop bitterness. Malty up front with a nice hop / malt balance. Maybe I drank this beer too close to the Pig’s Ear, but again, the strength of the diacetyl was the dominant feature and I quickly moved on from this brew. After Woodstock Inn, the next NH beer was a beer brought to the beer summit by one of the attendees. This beer came from The Portsmouth Brewery and was a new beer released for Portsmouth beer week, which also happened to kick off on the same day. This beer was a Russian Imperial Stout called the Royal Impy Stout. This beer had an amazingly nice and smooth mouthful. The flavor was nice, with no one component overpowering the beer. I enjoyed this and would love to have more. Finally, at the end of the week, to help prime the writing pump, I picked up some Smuttynose. Not only did I grab an old stand-by, Old Brown Dog, but I also grabbed a beer from their big beer series, called Zinneke Belgian Stout. 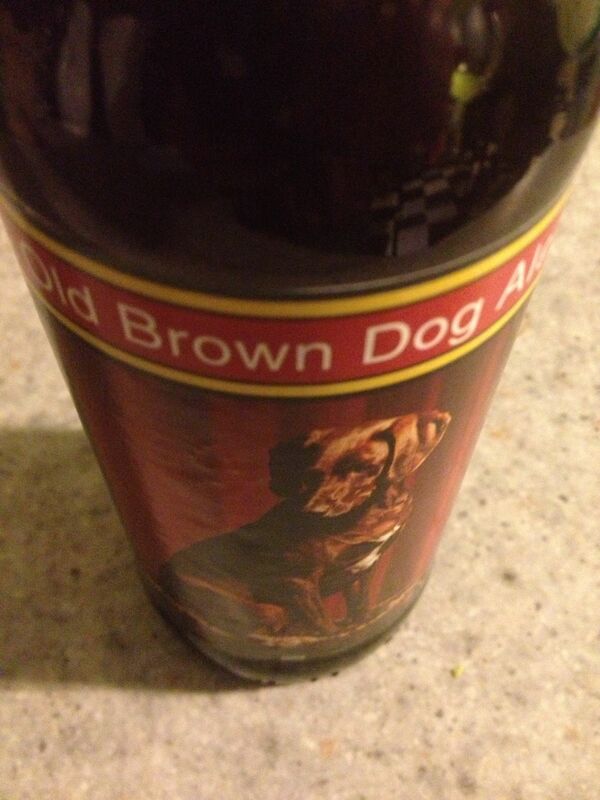 The Old Brown Dog is a Brown Ale brewed year-round at Smuttynose. This beer is an excellent go to beer and is well loved by everyone I know. I enjoy the malty taste, and supple hops. This is a very enjoyable beer, and if you can get your hands on it, I highly recommend it. The Zinneke Belgian Stout, was the first time I tried anything from the big beer series. I have often seen the bottles at my local store, but I guess I have never been intrigued even to deter from the variety 12 pack. In the glass, this beer was dark, it almost looked like a cola. It was aged in bourbon barrels, which seems to be a trend among many of the beers we have encountered lately, however the character of the beer didn’t seem to pick up the traits of the bourbon as much as some other styles have. It was nice, enjoyable beer. The mouthfeel was thicker than an IPA, or an Ale, but it wasn’t syrupy. The roasted-ness of the stout really stout out on this beer, overall making it a pleasure to drink. Thanks again to Riverwalk Brewery, Cape Ann Brewing, ReviewBrews and 2beerguys for all of their great comments and a fun evening. Look for an upcoming special post on our mini beer summit soon. Next week, we head into Virginia, thanks for reading. In 1733, just 55 years prior to becoming the fourth state, James Edward Oglethorpe founded the colony of Georgia. In the early days of the colony, Oglethorpe was aware of the amount of work required to build a successful colony. He was also concerned about the potential effect that drunkenness could have on the productivity of the settlers. Drunkenness at the time was considered a result of drinking higher alcohol beverages such as whiskey or rum, so as a deterrent, Oglethorpe offered each new settler 44 gallons of beer in an attempt to steer the settlers away from the “demon rum”. The beer the settlers drank on a daily basis was a type of beer called small beer. Small beer helped colonial families maximize their resources through the reuse of grains, was often used as a substitute for water and due to its low ABV (1-3%), it was consumed throughout the day. While small beer fell out of popularity in the 19th century, the beer laws of the country seemed to hold onto the idea of lower alcohol beer much longer. It has only been over the past 8-10 years that many states legally allowed higher ABV beer (most beer was restricted to 4-6%). In fact, it wasn’t until 2004, that Georgia increased the legal ABV for beer from 6%. Prior to 2004, most craft beer was illegal in the state, including three of the four beers sampled this week. Finding beer from Georgia wasn’t all that hard. It was all over in Alabama, and you could even find it on tap at places like Dreamland BBQ. So, during a visit to Mark’s Mart in Selma, AL, I picked up some beer from SweetWater Brewing out of Atlanta. Then, while travelling back home, we made a slight detour off I-81 in Chattanooga to see if we could find some beer from Tennessee. A quick search on Beer Advocate pointed us towards Beverage World in Fort Oglethorpe, Georgia, and this place was a find. As soon as I walked in, I knew I was in a special place. The staff really knew their beer, I mentioned a state, and they went straight to the location on the shelf and I was quickly setup up with beer from South Carolina and North Carolina. They explained that, while they were just a across the Tennessee border, they can’t get any beer to sell from that state (But Whole Foods, in Chattanooga would be the place to get some.) They were so helpful and knowledgeable that I had to ask if they had anything special from Georgia that I must try, and boy they sure did. I left there with some interesting beer for this week and expanded my selection from a single style to five different types of beer from three different breweries. combines peanuts and chocolate in a porter to create a very unique beer. In the glass, it has the look of a typical porter, or as one taster said: “It looks like motor oil!”. But the smell was totally different, a distinct mix of chocolate and peanuts. I was concerned about the taste. I have had chocolate beer before, such as the Black Chocolate Stout from Brooklyn Brewery, but adding peanuts was taking this to a whole new level, and I was pleasantly surprised. The peanut taste was there, but it wasn’t overpowering. What really stood out was the taste of the chocolate. It was described as “A peanut butter cup”, and “smooth and silky”. While I couldn’t drink too much of this, as it was sweeter than I typically like in a beer, I would rate this one a success. The next beer we sampled from Georgia was also from Terrapin. When Terrapin was founded, their goal was to craft beer unlike anything else coming out of the southeast, and this second beer continued with the unique theme set by the liquid bliss. Another stout, the Wake ‘N Bake, brewed with coffee beans from Jittery Joe’s Coffee (there is even a coffee for the beer), this beer packs a punch. An oatmeal stout is brewed with oats and was associated with “nourishment and viewed as healthful”. With a stout, the grains usually lend to a chocolate or coffee flavor. 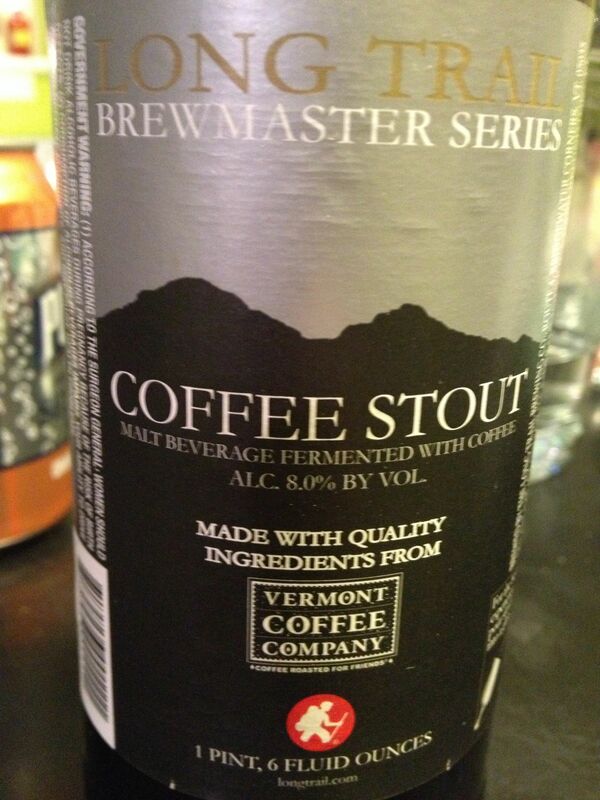 With this beer, the majority of tasters agreed it tasted like cold coffee. Normally, I do not have an issue with cold coffee, but for me, there was something else in the taste, hot peppers, and I found the after taste hard to get over. Overall, 2 out of 4 people sampling this beer loved it. The next two brews hail from SweetWater Brewery in Atlanta. An Extra Pale Ale called 420 and a seasonal brew called Festive Ale. The first beer sampled was the 420. Being the only beer this week with an ABV less that 6 (5.4%), the 420 is a typical pale ale, light-copper colored and hoppy. I enjoyed this beer, and it would complement a nice summer day quite well. It didn’t have any specific characteristics that made this standout from other pale ales in my opinion, but it was good. It would be interesting to try it with other pale ales to see where the distinct characteristics stand out. Again, well received among all the tasters. Next was the Festive Ale. The Festive Ale is considered a Winter Warmer, a dark beer brewed during the winter months, often with spices, mimicking a past when beer was heated and spiced, and sometimes mixed with strange ingredients such as eggs and even toast. Luckily modern brews winter brews leave the eggs and toast for breakfast, but they still contain unique mixtures of spices. With this beer, the spices were not overpowering, if fact, they were almost non-existent in the taste. This was defiantly a strong, but very enjoyable beer. The final beer of the week came from Red Brick Brewing, the oldest operating craft brewery in Georgia. Opened in 1993, as the Atlanta Brewing Company, the company changed their name to Red Brick Brewing in 2010. When the good folks at Beverage World handed me a four pack of 17th Anniversary they told me it was special (and strong). 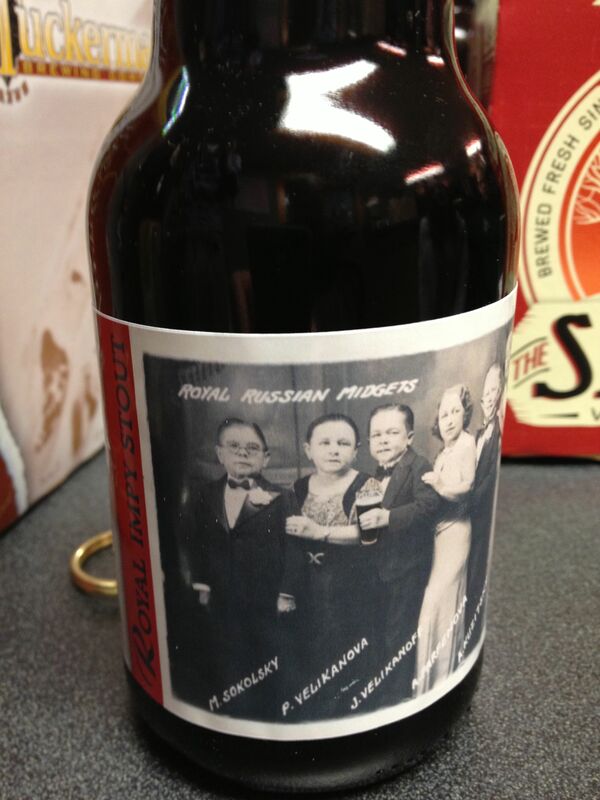 Aged for months in Jim Beam barrels, this beer is a limited edition brew. In the end, the tasting party loved Georgia. The past two weeks, the beer has been getting more palatable, while still staying interesting. Georgia has some great brewers, and with beer names like 420 and Wake and Bake, there is clearly something else going on down there to inspire their creativity. Next week, we come back to New England with some fun selections from Connecticut.